Jack is a happy little boy. He has a lovely family that gives Jack lots of attention. Jacks brother and sister play games with Jack and make him laugh. Jacks Mummy and Daddy spend time teaching Jack and playing with him. There is just one problem. 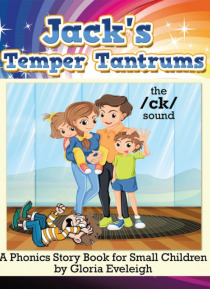 Jack has temper tantrums. This is a big problem because it makes life difficult for everyone. Can Jack change?